Non-Volatile Memory Express (NVMe) has piqued the interest of many people in the storage world. Using a robust, efficient, and highly flexible transportation protocol for SSDs, Flash, and future Non-Volatile Memory storage devices, the NVM Express group is working on extending these advantages over a networked Fabric. 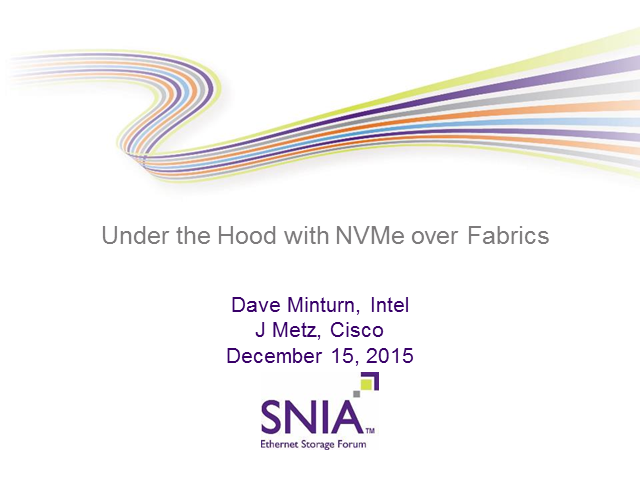 Come join us as we discuss the next iteration of NVMe.